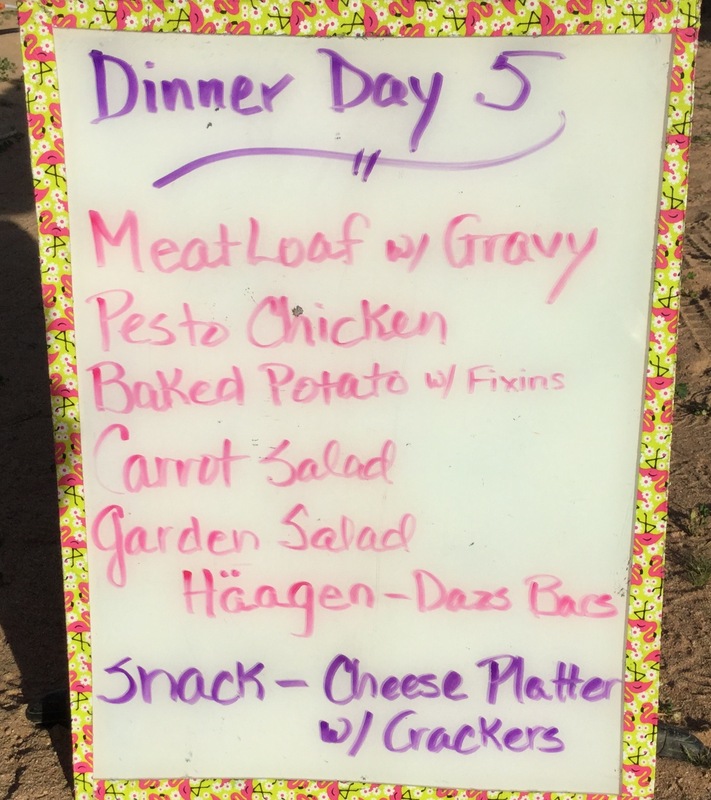 Day 5 features a visit to “America’s Salad Bowl”, just outside of Yuma. It seems that about 100 years ago, someone decided to channel water from the Colorado River into the desert and the rest is history. 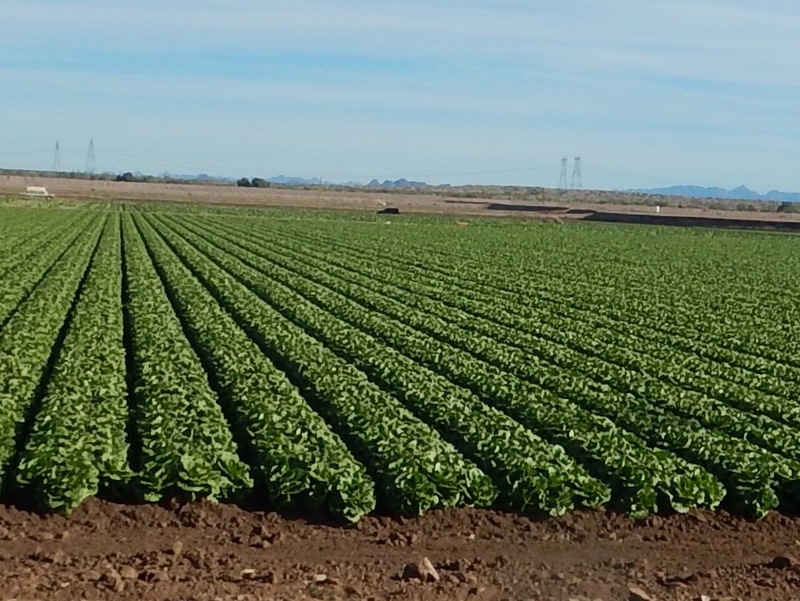 We ride through thousands of acres of every variety of lettuce. Throw in some cauliflower, asparagus, and onions, and we are ready for a salad. We’ll eat lunch in a moment, but first, let’s check our stats. Back to lettuce, they actually grow the four different kinds of lettuce you get in those mixed salad bags in the same row. 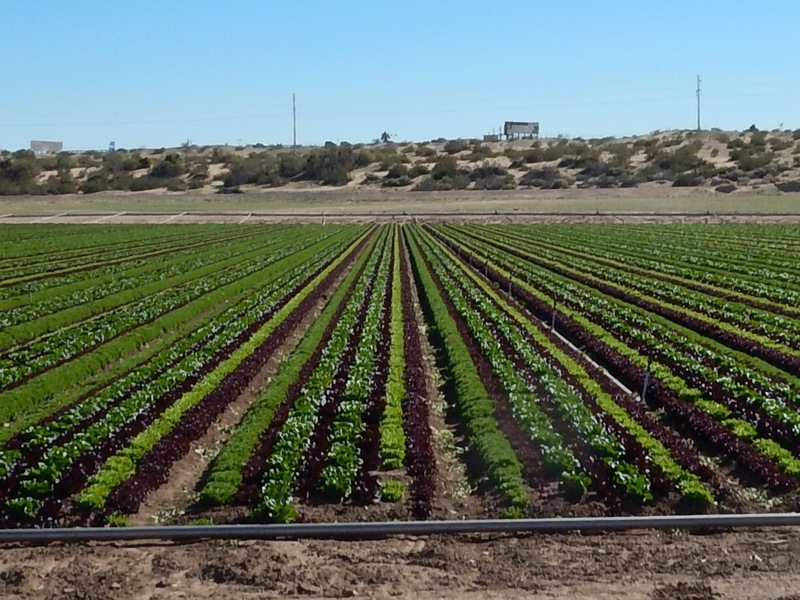 That way when they harvest, the salad comes right out of the ground all mixed up. You learn things when you read this blog. Jac’s Whistle Stop Cafe is usually closed on Wednesdays, but they open just for us. 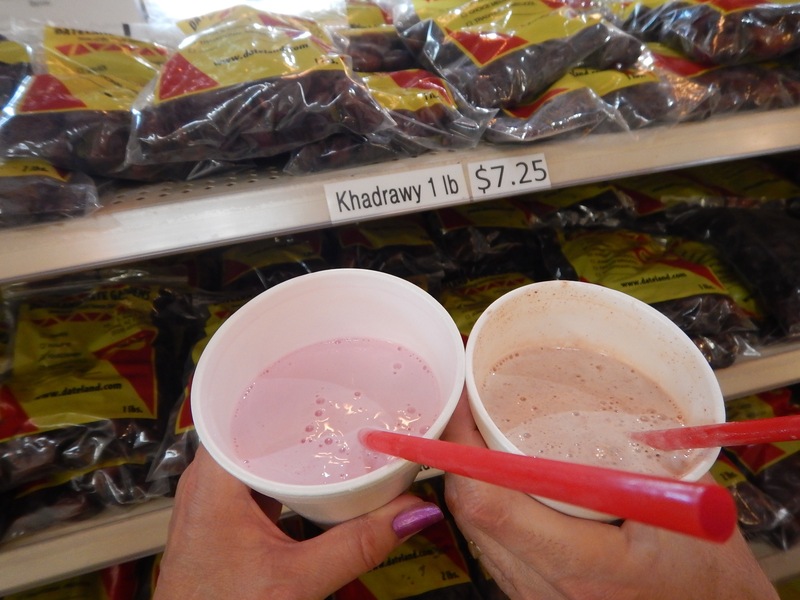 No salad for lunch because we save room for a cactus milkshake and a date milkshake in Dateland. They are famous for these, and after 70 miles on a bike, you can eat anything you want. Like our afternoon cheese snack. Tomorrow: The heat is on! Hit the button in the upper right column to follow this blog and get e-mail updates every time we post. 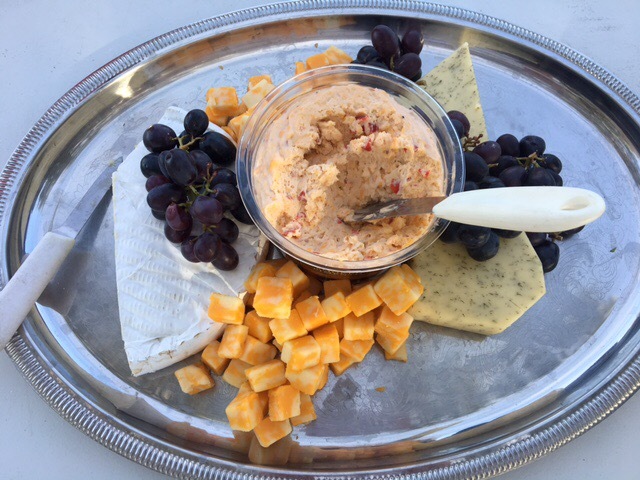 Is it legal to eat pimento cheese that far west? Guess it is if you rode 70 miles! The thing about the lettuce is so cool. It makes perfect sense that they do it that way. Who knew? I had to look up what a khadrawy was (http://7hotdates.com/type-khadrawy.html). From the description, it looks like it would be perfect bike food – right up until you had a full-on carbohydrate crash. PS: You need to add “Average Road Quality” and “Prevailing Wind Direction” to your daily stats. Hi! Very much enjoying your blog and tour! My husband and I will be doing the southern route later this year. It’s fun and exciting to check out your experiences! Oh yes! Forgot about those date shakes. Thanks for the memory flash. August when it was 125 degrees! You are biking in the right time of year. on this blog ! See you down the road. Really enjoying your blog, thanks for taking us along on your adventure. My aunt in Phoenix has gifted me an anvil, thought you might help us out and bring it back…. have fun, be safe! You must be on a lunch break! 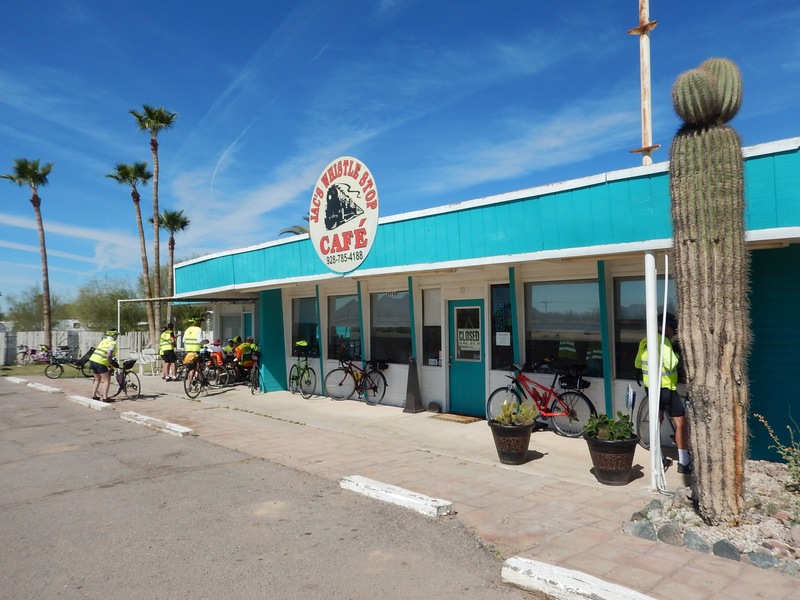 Good luck when you ride into the desert. I’ll be watching. Really enjoying your daily blog. Thanks so much for doing this. I’m guessing blogging is the last thing you want to do after riding 70 miles on a bicycle. Actually, it’s a good way to relax without sleeping! Thanks for keeping up with us. I will never again purchase a bag of Spring Mix without thinking of you two! Loving the posts! It’s a long way from here to Kilwin’s in St. Augustine! The “carrot” has been identified! Pedal on! !